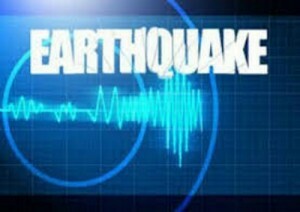 PORT OF SPAIN, Trinidad, Aug 2, CMC – Two earthquakes, measuring 4.0 and 4.3 respectively, rattled Trinidad and Tobago and the French Caribbean island of Martinique on Tuesday, the Trinidad-based Seismic Research centre of the University of the West Indies (UWI) has reported. It said that the first quake occurred at 3.58 am (Local time) northeast of Martinique and was located at 15.16 degrees north and 60.39 degrees west. The quake with a magnitude of 4.3 and a depth of 10 kilometres was reportedly felt throughout the island, but there were no reports of damages or injuries. The 4.0 earthquake rattled Trinidad at 9.13 am (local time). The Seismic Unit said it occurred northwest of Trinidad and Tobago and was located at 10.91°N and 62.10°W. It had a depth of 77km. “There are no felt reports at this time,” the Unit said, adding also there were no reports of injuries or damages.